Justin Timberlake keeps winning more and more awards this year -- how about one for Best Concert Photobomb? The 'Suit & Tie' singer follows the lead of Beyonce, who recently jumped into a fan's shot mid-performance, without missing a beat. But while the still-amazing Bey shot wasn't an actual photobomb -- she gamely accepted the fan's invitation to get in the pic -- JT's appears to be the real deal. The picture shows three male fans posing for a selfie with their back to the front of the stage. Justin, ever the performer, took notice in time to not only get in the background of the shot but to point directly at the camera. All while still singing, of course! 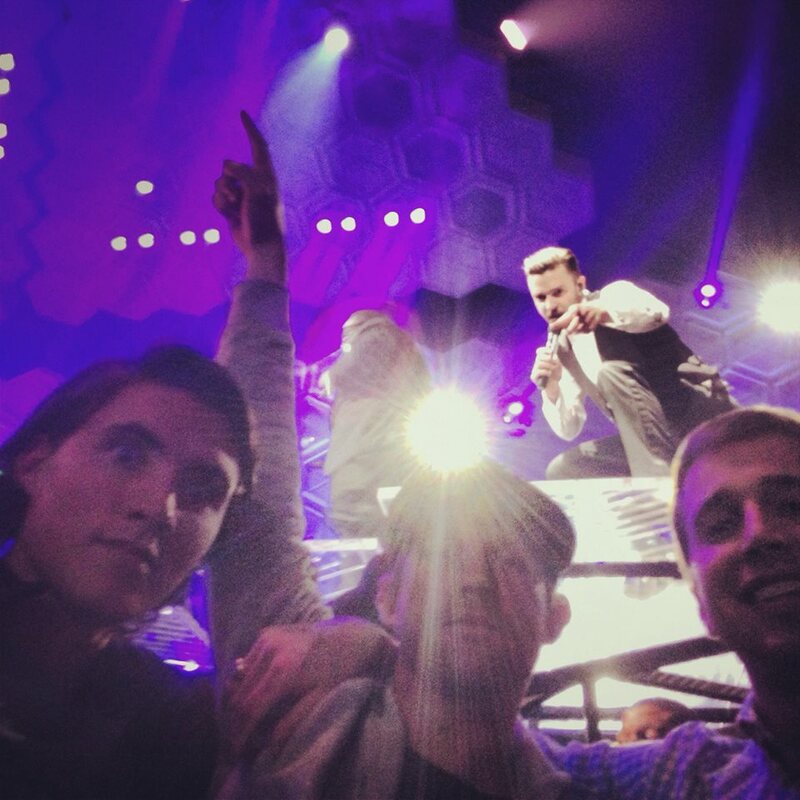 User ewokseatfree posted the image on Reddit early Wednesday (Dec. 18) with the subject line, "Sometimes you see Justin Timberlake in concert... sometimes he photobombs you." The photo already has 44,000 upvotes (and counting). Timberlake's shows definitely look like a good time. Only last weekend, he stopped a concert so a fan could propose to his girlfriend. Can't wait to see what JT does next!